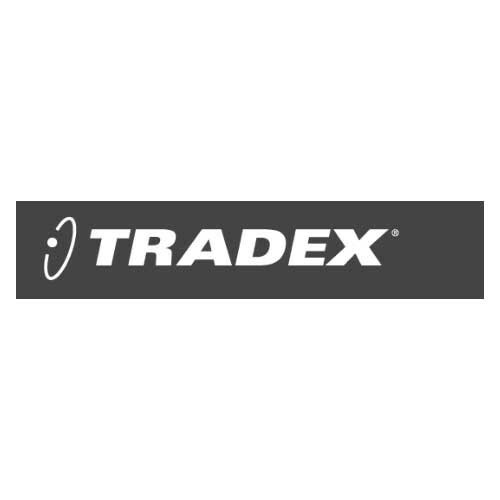 The Tradex Ambitex Vinyl Exam Gloves is a lightly powdered exam glove for the purpose of helping complete light medical procedures that do not require surgery preparation. The exam gloves are offered to be the useful tool your office needs in order to keep their hands free from contaminating agents such as bodily fluids or germs and microbacterial agents. 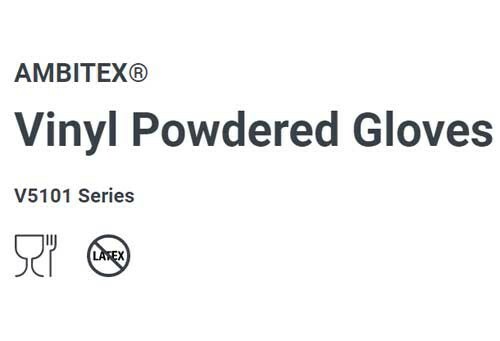 The Powdered Ambitex Vinyl Gloves offer a smooth exterior surface, this smooth surface allows for a better grip and better response when using items such as syringes. The better response of the glove when in use with your tools, keeps a precision-guided hand throughout the entire process. 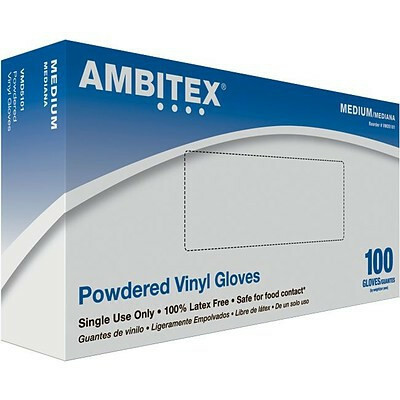 Gloves you may have used in the past may have seemed to be lose fitting, this is due in part to the lack of a beaded cuff that the Latex Free Ambitex Gloves with Beaded Cuff happens to possess. The beaded cuff keeps the glove firm within its position to stay down and unrolled, protecting you from hazardous items or fluids you may come in contact with. The vinyl exam gloves do have an ambidextrous design to allow a natural feel on either hand the gloves are worn on. 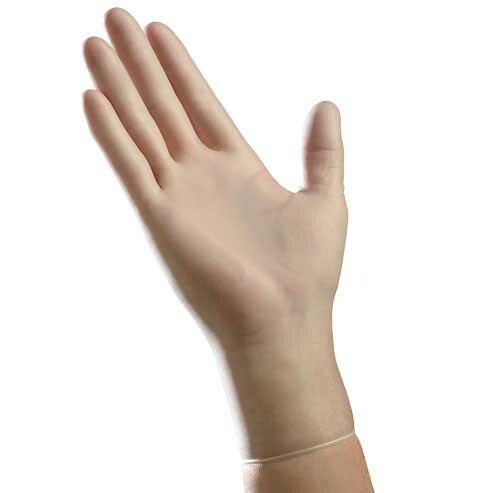 Many caretakers and patients are able to limit their worry of a latex-based product as this glove is not made with natural rubber latex - making it a safe choice for many facilities. Get easy access to your gloves, take a look at our optional Glove Dispensers in order to mount them on a wall.